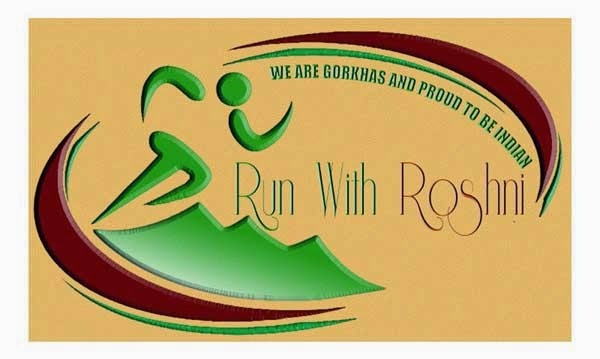 To promote athletes from the Darjeeling hills in the international platform Roshni Rai founder of ‘Run with Roshni’ Project has taken the initiative to organize a half marathon in Kalimpong on May 1.
International Marathoner Roshni born in Kalimpong’s Pedong village is working hard in Mumbai for the past 10 years to bring the Nepali/Gorkhali community out of racial discrimination and identity crisis. Thirty-five years old Roshni has now decided to organize marathons in Darjeeling hills so that hidden talents could get an opportunity in international events through Mumbai Marathon. “The best five runners will be given a chance to run in the Mumbai Marathon and the entry fees, lodging and food along with train fares will be borne by my project,” said Roshni. She also said that 10 participants will be selected from Darjeeling, Kurseong, Kalimpong and Siliguri each for the 21 kilometre half marathon.